First Time Buyers are not the only ones who can benefit from a government guaranteed loan. You can refinance with an FHA loan, even if you don’t currently have an FHA loan. FHA loans come with a few requirements. Because the program intends to help buyers get into a home, you must live in it as your primary residence. (Don’t worry investors, we have plenty of other loan programs that are perfect for you.) Flip properties are allowed, however, as long as it is owner occupied. Some FHA programs will require you to have the home appraised by an FHA- approved appraiser, and for you to pay mortgage insurance premiums. 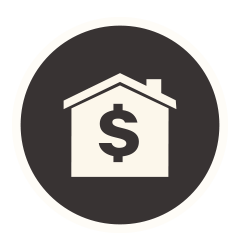 Plan on paying Up Front Mortgage Insurance (UFMI) and a Monthly Mortgage Insurance Premium. Our New Mexico Mortgage Company loan advisors can tell you what you qualify for and what to expect for your total payments, including mortgage insurance.